The dryer can be divided into three main systems. The Clothes Dryer control system is made up of the timer or control board (for dryer timing), a cycling thermostat or thermistor on electronic dryer models (for dryer temperature control), hi-limit thermostat, thermal fuse , and a door switch (for dryer safety). And the airflow system made up of the blower wheel, home and internal ducting. The home ducting is an important aspect to proper dryer operation and must be included in this list. 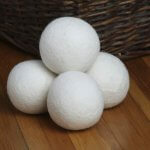 Dryer balls increase air circulation and surface area, therefore increase evaporation speed and efficiency. within the dryer drum contacts both strips, the counter is reset to zero. The other method uses the thermostat to advance the timer depending on how quickly the drum temperature is fluctuating. Wet clothing will cause the temperature to drop rapidly requiring the dryer’s heat source to cycle at a faster rate than a drum filled with less moist clothing. The thermal fuse is a one-time blow fuse that will burn out if the dryer temperature rises above safe operating levels usually 250º. 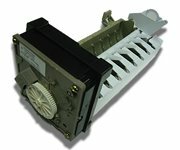 This is the most common cause for a dryer that runs normally but has no heat. The dryer door switch senses if the dryer door is open or closed and will not allow any mechanical or electrical function if the door appears to be open. The dryer motor turns the clothes drum with a belt as well as a fan called the blower. The belt is given tension by a spring pulley that increases the belt’s grip on the drum in the form of friction. Several nylon or felt strips located at the front and or rear of the dryer drum reduce friction from the drum’s rotation. It is also common for the drum to be supported by a number of support rollers. 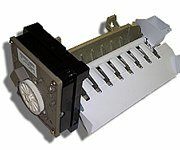 Some dryer models have a single rear ball bearing attached to the back of the dryer drum that is cradled in a nylon receiver. A gas dryer uses a burner assembly, which is comprised of a control valve with two solenoids (also called coils), gas valve, igniter, and a flame sensor. When the dryer is started, the igniter heats up. When the sensor detects the heat, it signals the solenoid on the control valve to open and release the gas, which is then lit by the glowing hot igniter. The igniter turns off but the gas jet remains open. The burning jet of gas keeps the sensor warm, which keeps the gas valve open until the cycling thermostat signals the control valve to stop the flow of gas. The coil valve is the most common part to fail in this system, allowing for short periods of proper temperatures followed by no heat at all later in the cycle. An Electric dryer operates in basically the same way. When the dryer thermostat is closed, allowing power to flow though to the heating element, the resistance of the element creates heat, which is carried by the air from the blower into and out of the drum. 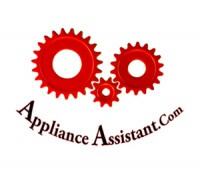 The heating element will cycle on and off in the same way as a gas dryer to maintain an average temperature determined by the thermostats sensitivity setting. Airflow from the blower passes over a heating element (in an electric dryer) or by a gas jet (in a gas dryer). The heated air then passes through the drum evaporating any moisture within the dryer drum and out the back of the dryer through the duct. 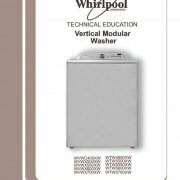 Any restriction of this airflow within the dryer or in any ducting attached to the dryer (home ducting) will reduce the dryer’s ability to remove the evaporated moisture from the drum, leading to long drying times even with a working heating system. 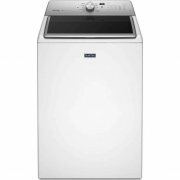 Most dryers are designed to have a duct no longer than 10 feet. Each 90º angle is like adding 5 feet. Vertical ducting must be regularly cleaned to maintain good airflow. A ducting blockage is also commonly the cause of a blown thermal fuse, malfunctioning coils, and dryer fires. 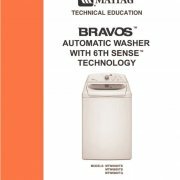 Very informative post about clothes dryer.